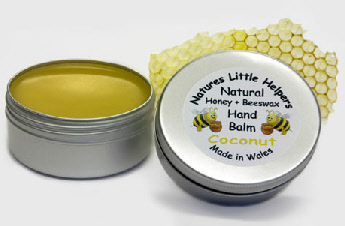 An intensive balm, containing honey and oils of Sweet Almond, Coconut, Jojoba and Wheatgerm to moisturise, while beeswax provides a barrier. This entirely natural product restores dry hands to tip-top condition! Sweet Almond Oil, Beeswax, Coconut Oil, Wheatgerm Oil, Honey, Vitamin E and Lavender Essential Oil.